In this first session, we will talk about the difference between Major and Minor. This lesson will focus mostly on ear training and will help students differentiate Major chords from minor chords. We will also learn how to differentiate Major scales from minor scales in a super simple way. The second session continues where the first one left off. In this session we will talk about the importance of intervals and how to use them to create music. This session is a bit more hands on and will require students to have a guitar in their hands. 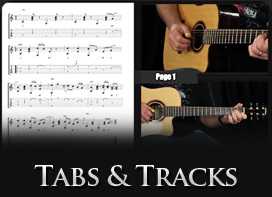 In this lesson we will learn how chords are created using the previous session's intervals. 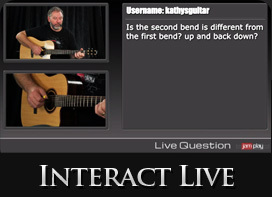 This lesson will encourage students to create new chords using the intervals learned in week 2. This lesson is a rewarding session that will result in new musical ideas no matter how long students have been playing. In this week's session, we will learn about the Major Scale. By the end of this lesson students will be able to build a Major scale from any note. This lesson is essential and will unlock key elements discussed in the future sessions. In this session, we will learn how to build a minor scale. Not only will we learn how to build the minor scale, but we will also learn how to play it anywhere on the fretboard. We will also make the parallel between Major scales and minor scales and see how they are related. 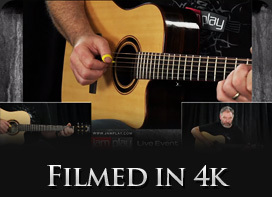 In today's lesson we will learn what modes are, how to build them and how to use them. This lesson is very rewarding and will lead students to experiment and discover new musical concepts no matter where they are in their musical journey. Today's lesson will cover pentatonic scales. By now students should be able to analyze any musical elements (chords and scales) by using the previously discussed intervals and scales. We will cover simple pentatonic scales and learn how to build new ones as well. In this last session we will talk about how to figure out the key in which a song is built. In this lesson will use several simple chord progressions and learn how to match them with a scale. This is a great illustration of what music theory really is and will help students go further in their musical apprenticeship.